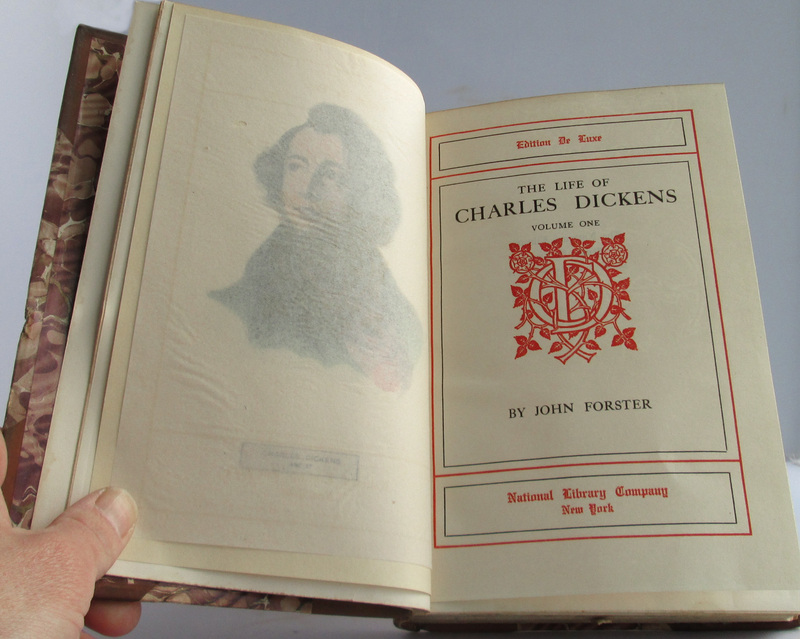 This is volume one only of "The Life of Charles Dickens" by John Forster, Part of a larger National Library set (vol. 39). 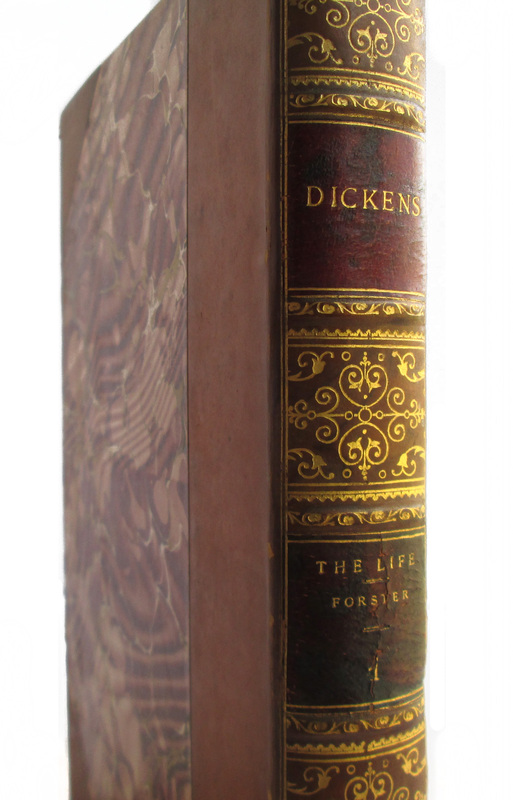 The complete "Life of" was two volumes, second volume not included here. 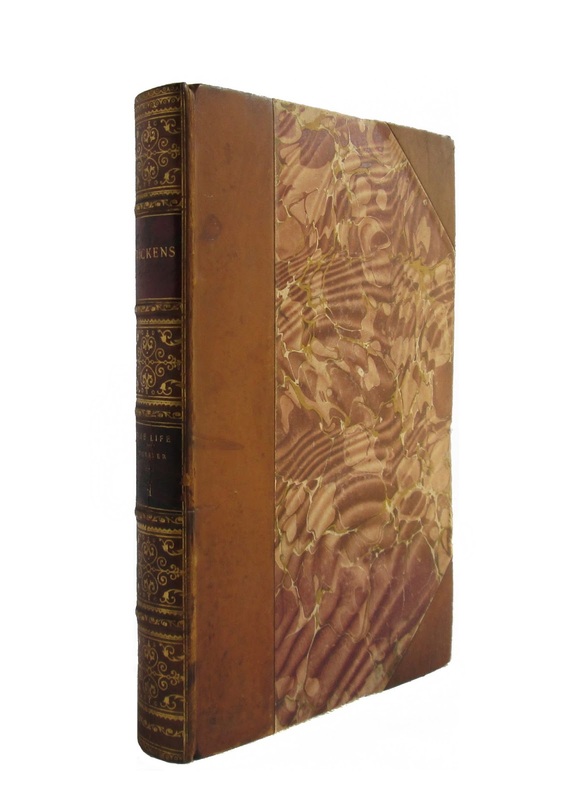 This antique hardcover book is bound in brown marbled boards, with brown 3/4 leather. Spine has gilt decoration, with gilt lettering on dark brown spine labels. Top page edge is gilt. Covers are edgeworn, with soil to front and back. 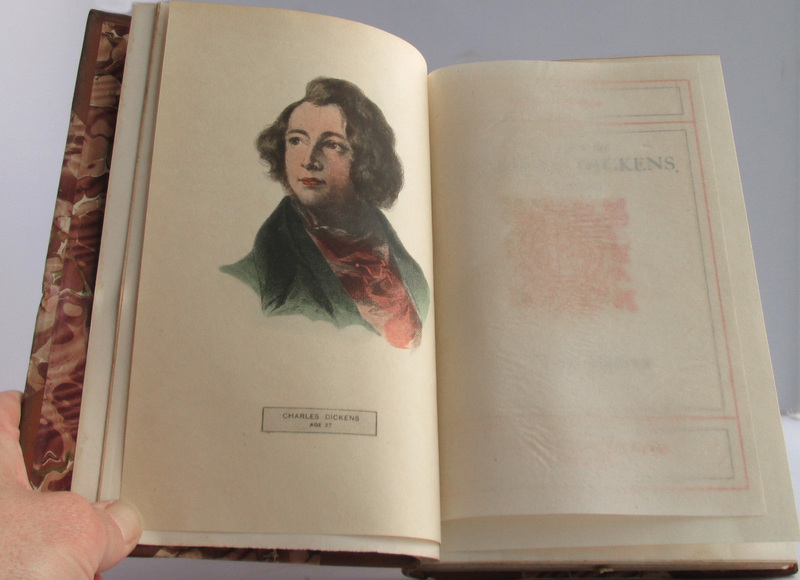 Pages browned at edges; most are clean within. Foxing to foredge. Color frontispiece. 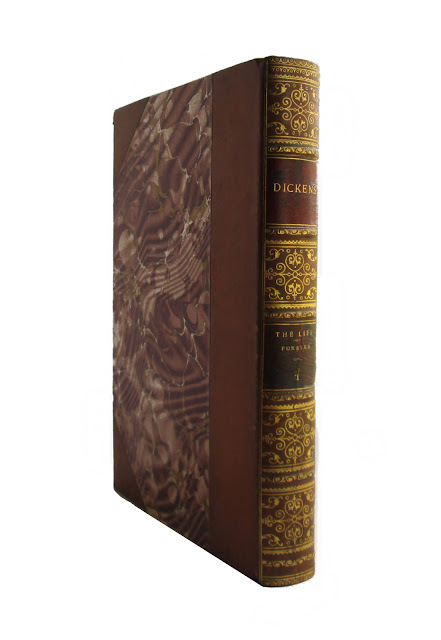 554 pages; approx. 6"x8".